Fresh seafood dishes are almost always an indulgent when cooked with the right flavors and served hot with fluffy and fragrant rice. At Fuqing Marina Bay Seafood Restaurant, you will get all that, plus a breathtaking view. Located by the banks of Singapore River at Boat Quay, the Chinese restaurant offers a cozy al fresco dining experience. 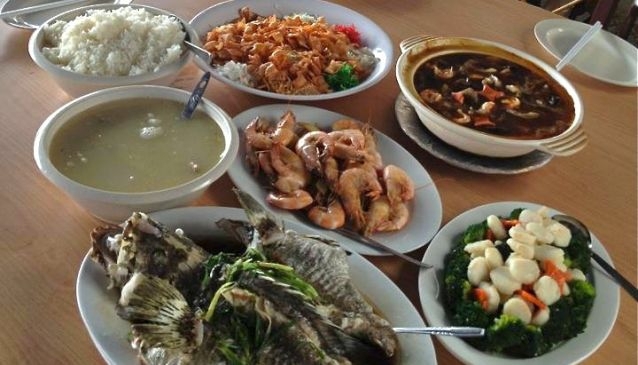 The restaurant's extensive menu includes Oatmeal Prawns, Oyster Omelette, Sweet and Sour Fish and Butter Prawns, as well as, non seafood dishes like Mango Chicken and Black Pepper Beef. There will definitely be something appealing for everyone when they dine at Fuqing Marina Bay Seafood Restaurant.